Many schools visit Fresh Air every time it’s on. I remember when I was at Hatherop Primary and I did the traditionally walk to Fresh Air and spent the day drawing the sculptures I liked best. I remember having great fun exploring the gardens, and as a child that was drawing all the time the sculptures provided great subjects. Here are some of the current children at Hatherop Primary enjoying their day out at Fresh Air. 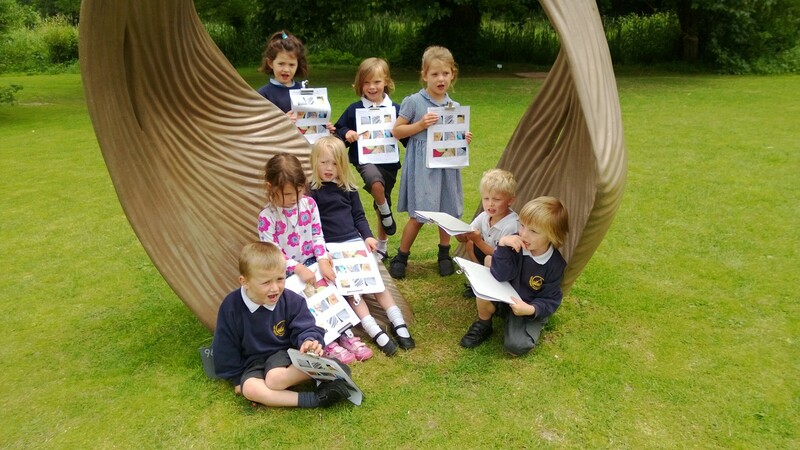 They had worksheets which had a close up photo of the textures of several sculptures and they had to find these sculptures around the show, like a treasure hunt. 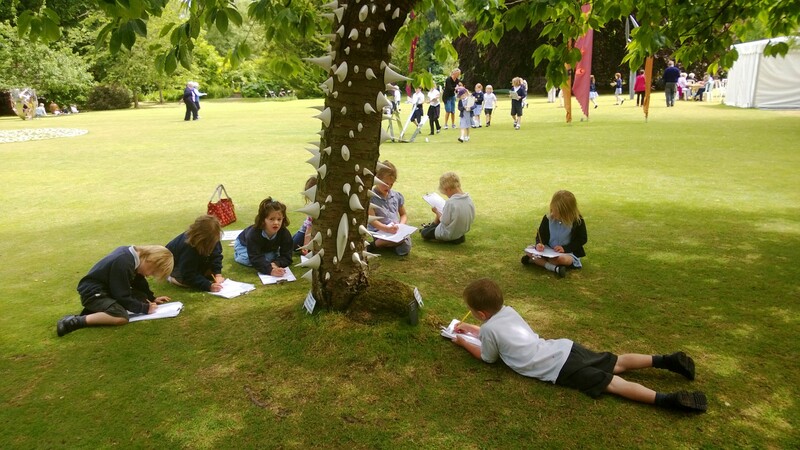 They were also busy drawing their favourite sculptures.